Open all the cans and dump everything into your crock pot. Juice and all. 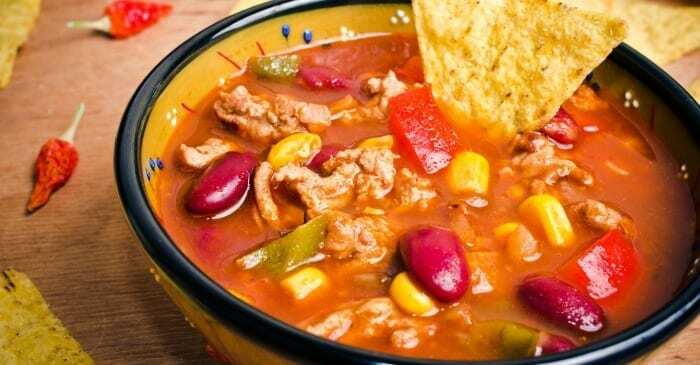 Let it sit on high for an hour or two then turn it down to low and you have the best darn crock pot taco soup you’ve ever eaten!